Vision Xpress is a real-time trading application that allows traders to use the internet to access their trading accounts to place and maintain orders, obtain status on working orders, check balances, view positions, check for filled trades, and retrieve quotes. Try Vision Xpress for Yourself. Place your own simulated trades in your own trading account. 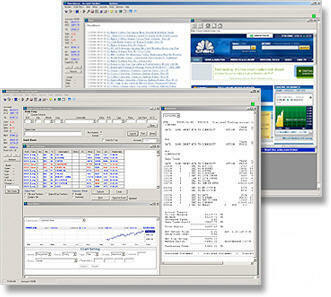 Test your trading strategies and test Vision Xpress without cost or obligation. Please provide the information below to receive your free access codes to enter the Vision Xpress free demo. PLEASE VIEW THE ONLINE INSTRUCTIONS FOR USING VISION XPRESS.